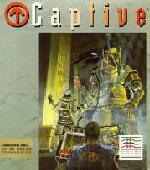 A big hit on the Amiga and Atari ST that went unnoticed on the PC, Captive is one of the best sci-fi RPGs ever, on par with Karl Buiter's Hard Nova in epic scope and refined gameplay but with a more cumbersome interface. As an innocent unfairly sentenced to 250 years in cryosleep, you must escape, recruit crew members, and (naturally) save the world. Lots of novel features, e.g. scientific gadgets that you can equip (similar to chips in Circuit's Edge), and the ability to allocate experience points among attributes make this a great RPG. 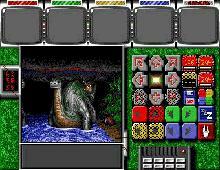 The fact that it is designed by Anthony Crowther, designer of many Commodore 64 classics, should also entice traditional RPG lovers to check this out :) Recommended!